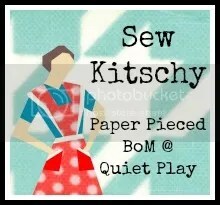 I am SO excited that Kristy at Quiet Play is making her Sew Kitschy quilt block designs available for FREE as a block-of-the-month (BOM) quilt along. Check out details about the Sew Kitschy BOM here, or download the first pattern at her Craftsy site here. 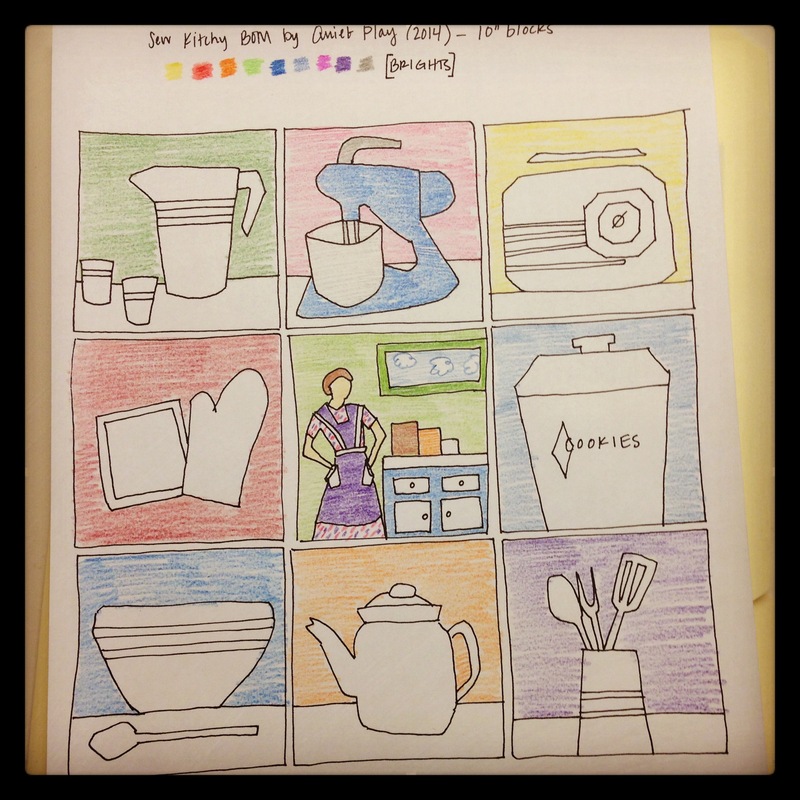 I already traced (kind of) the blocks to create a coloring sheet so I can determine a palette for my blocks. 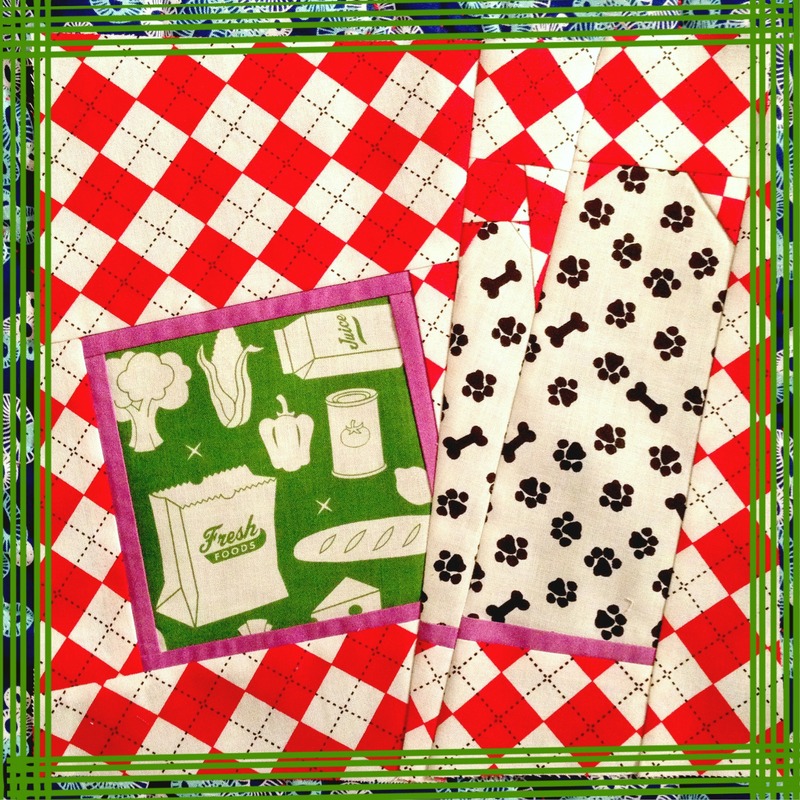 My plan for Sew Kitschy is to use bright colors. The only way I can justify starting a new project when I have so many pending is to use scraps or fabrics I bought solely to add to my stash. I am embarrassed how much money I spent on hobbies last year. I am even more embarrassed when I consider how few projects I finished. But no matter. It was working great until the very last seam: the bottom of the oven mitt doesn’t line up exactly. I’m hoping it’s less noticeable once there are more blocks. I think the colors will look better together once there are more blocks, too. While sewing this block, I also learned the important lesson that big prints are okay, but you shouldn’t use two prints with the same background color (e.g. white) side-by-side if a shape is supposed to emerge. 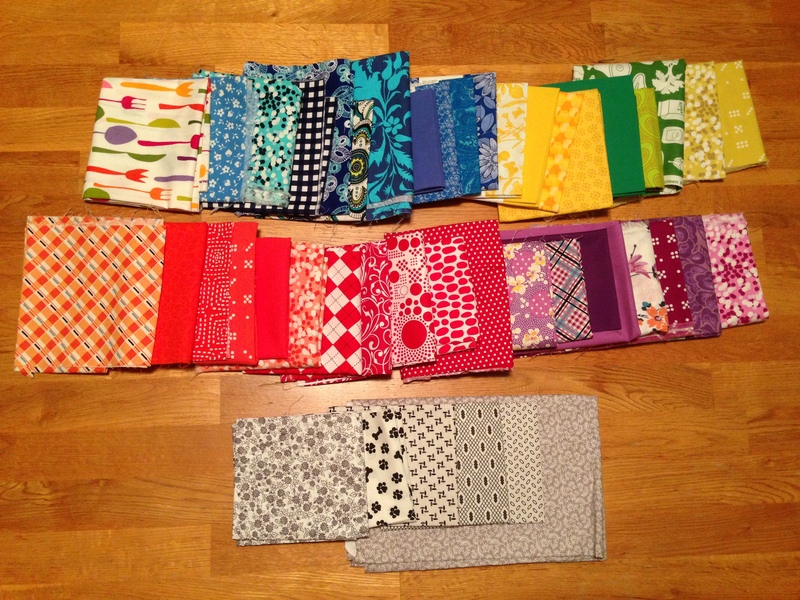 When I’m finished with all the blocks, I hope to make a lap quilt for my sister. How perfect a gift will this be for a pastry chef?! 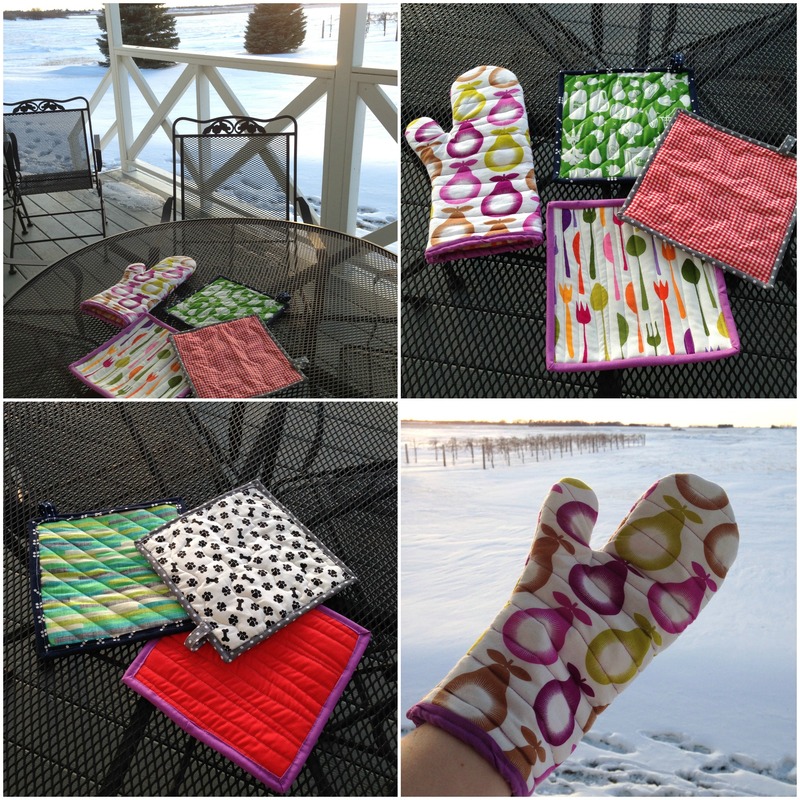 To make the gift more personal, I used some of the same fabrics for the January BOM block as the fabrics I used to make her a real oven mitt and potholders for Christmas! I’ve only done one other paper piecing project so far, so I am especially looking forward to a new challenge. I am also looking forward to watching other quilters’ color selections. There’s still time to join the BOM! Categories: Quilts | Tags: block of the month, bom, craftsy, design, fabric, fabric stash, fat quarter friendly, free, free oven mitt, free potholder, free quilt block, kitchen, oven mitt, paper piecing, patchwork, pattern, potholder, project, QAL, quiet play, quietplay, quilt, quilt along, quilt block, quiltalong, quilting, scrappy, scraps, sew, sew along, sew kitchy, sew kitschy, sewing, so kitschy, stash | Permalink.